Amgen (AMGN) swung to a profit in the fourth quarter from a loss last year, helped by higher revenues, lower tax rate and a decline in weighted-average shares outstanding. The results exceeded analysts’ expectations. However, the company guided full-year 2019 earnings and revenue below the consensus view. Net income was $1.93 billion or $3.01 per share compared to a loss of $4.26 billion or $5.89 per share in the previous year quarter. Non-GAAP earnings grew 18% to $3.42 per share. Total revenues rose 7% to $6.2 billion as new and recently launched products including Repatha, Prolia, Kyprolis, and Xgeva showed double-digit growth. Looking ahead into the full year 2019, the company expects total revenues in the range of $21.8 billion to $22.9 billion and earnings in the range of $11.55 to $12.75 per share. Non-GAAP earnings are predicted to be in the range of $13.10 to $14.30 per share. Capital expenditures are anticipated to be about $700 million. 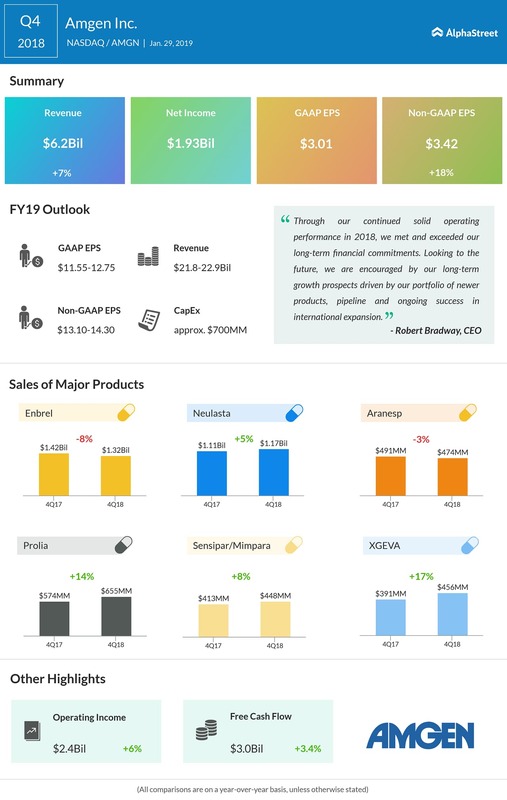 For the fourth quarter, Amgen posted sales increases for products such as Repatha, Blincyto, Xgeva, Prolia, Kyprolis, Nplate, Sensipar/Mimpara, Vectibix and Neulasta, driven by higher unit demand. Products such as Epogen, Aranesp, Enbrel, and Neupogen saw sales declines due to lower unit demand and net selling price along with impact from competition. Research & Development (R&D) expenses increased 13% in the fourth quarter driven by higher spending on business development, its early oncology pipeline, and late-stage development, offset partially by lower spending to support marketed products. During the fourth quarter, Amgen repurchased 11.1 million shares of common stock at a total cost of $2.2 billion. At the end of the quarter, the company had $5.1 billion remaining under its stock repurchase authorization. Shares of Amgen closed Tuesday’s regular session up 0.08% at $192.11 on the Nasdaq. Following the earnings release, the stock inched down over 2% in the after-market session. 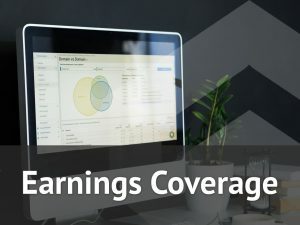 Browse through our earnings calendar and get all scheduled earnings announcements, analyst/investor conference and much more!